The Ocean Modeling Forum helps managers, scientists, and the ocean community use models to take on complex ocean issues. We bring expert modelers together with scientists and participants across disciplines. We help managers frame questions, understand the strengths and limitations of different models, and learn how to incorporate models in their work. By creating an environment for experimentation and learning, the OMF is building the innovative models needed to tackle the ocean challenges of the future, and a community to support that exploration. The OMF takes on a select number of projects each year so we can devote our full attention to them. We’ll begin soliciting proposals for our next project in the Spring of 2018. What makes a good OMF project? By ‘model’ we mean a framework for abstracting, projecting, and/or comparing biological and oceanographic features (such as fish population dynamics) and human interactions with those features. Models may include quantitative and qualitative features, and we are particularly interested in problems that seek to combine models in novel ways. Take a look at our past and present working groups to see what we’ve done so far. Not sure if you’re a fit? Drop us a note. Join our mailing list to be notified when we open our call for ideas. OMF working groups address pressing ocean management topics using diverse modeling methods. Working group members are scholars from a range of natural and social scientific disciplines who work in an integrated and collaborative manner. Scientists work alongside stakeholders and managers to co-develop goals, approaches, and outputs. What are the ecosystem impacts of Pacific sardine harvest? How can population impacts of marine mammal bycatch be evaluated in fisheries with poor data availability or quality? Marine ecologist Phil Levin began a joint role at the University of Washington’s College of the Environment and The Nature Conservancy in 2016. He is one of only two “professors of practice” at UW and is also tackling a lead science role at the Conservancy. Levin was formerly a senior scientist at NOAA Fisheries, and currently works on many projects, including The Conservancy’s Emerald Edge project, the Ocean Modeling Forum and with Washington Sea Grant’s Melissa Poe looking at the impacts of ocean acidification on culture, particularly tribes. Prior to joining The Nature Conservancy and University of Washington, Phil was a Senior Scientist at NOAA Fisheries’ Northwest Fisheries Science Center in Seattle, Wash. He served as the scientific lead of NOAA’s Integrated Ecosystem Assessment efforts in the California Current Large Marine Ecosystem and Puget Sound. During this work, he led the development of new analytical tools for characterizing ecosystem health and forecasting the cumulative effects of coastal zone management and climate change on marine ecosystems. Tessa is the Lead Ecosystem Ecologist at the University of Washington Tacoma’s Puget Sound Institute, and the Managing Director of the Ocean Modeling Forum. Dr. Francis is an aquatic ecologist, and she conducts research related to the ecology and management of Pacific herring. She is interested in terrestrial-aquatic linkages, and the impacts of those linkages on ecosystem function and management. Across all her work, Tessa focuses on linking science to decisions, which includes a keen interest in decision support tools, including models and multi-model approaches. Tessa also serves as the Ecosystem-based Management topic editor for the Encyclopedia of Puget Sound, and is on the Science Advisory Board of the Northwest Straits Commission. Tessa holds a BA in Political Science from UC Berkeley, a BS in Wildlife Science from the University of Washington, and a PhD in Zoology and Urban Ecology from the University of Washington. Genoa is a marine ecologist currently working to support the Ocean Modeling Forum at the University of Washington. Her research focuses on how temperate marine communities respond to human-driven disturbances. As a Master’s student she studied how an invasive alga alters species diversity and production in southern California kelp forests. 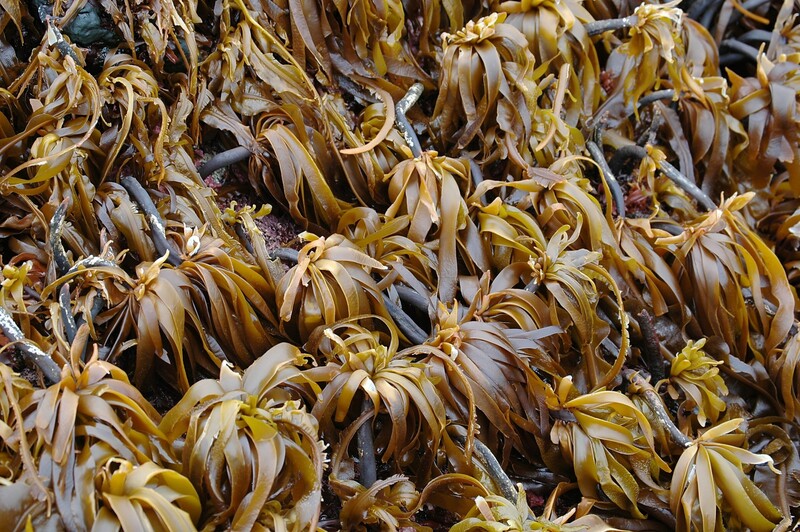 Additionally, she worked on a team of scientists to assess differences in communities and ecosystem function between kelp forests and urchin barrens across the Aleutian Island archipelago in Alaska. She holds a M.S. from San Diego State University and a B.S. from California Polytechnic University, San Luis Obispo.